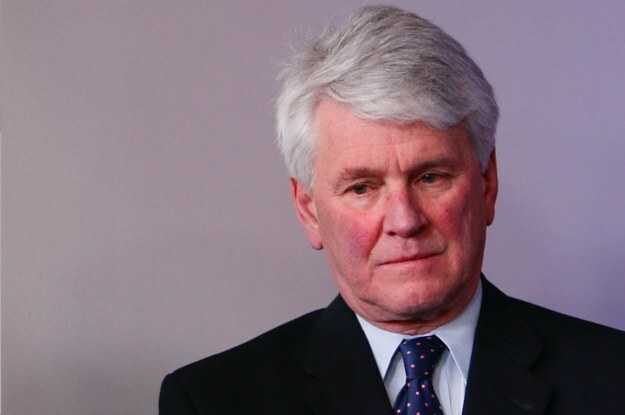 WASHINGTON — Greg Craig, who served as White House counsel under former president Barack Obama, was indicted Thursday on charges that he lied to the Justice Department about his work for the Ukrainian government — work that linked him to Paul Manafort. After leaving the White House for a private law firm, Craig was hired in 2012 by the Ukrainian government to conduct an independent investigation into the prosecution of former Ukrainian prime minister Yulia Tymoshenko. Prosecutors charged Craig with providing false information about his contacts with journalists as part of a public relations strategy around the report that he and his team prepared about the Tymoshenko case. Craig is being charged by the US attorney’s office in Washington, DC. The indictment accuses him of repeating the false information he gave to the Justice Department about his contacts with journalists to special counsel Robert Mueller’s office during an October 2017 interview. Craig’s lawyers announced Wednesday night that they were expecting an indictment, and denied that he was guilty of a crime. They said that Craig spoke with reporters to make sure they had an accurate account of his report on the Tymoshenko prosecution, and that he wasn’t acting under orders from Ukraine or on the Ukrainian government’s behalf. Craig’s lawyers also said that federal prosecutors in Manhattan had investigated the case and decided not to bring charges. A spokesperson for the US attorney’s office in Manhattan declined to comment. “Mr. Craig had no interest in misleading the FARA Unit because he had not done anything that required his registration. That is what this trial will be all about,” the lawyers said. Craig’s work for Ukraine was initiated by Manafort, President Donald Trump’s former campaign chair, who spent years as a top political consultant for a pro-Russia political party, the Party of Regions; Manafort worked closely with Tymoshenko’s rival, former Ukrainian president Viktor Yanukovych. Manafort too was charged with failing to report his work on behalf of Ukraine to the US government — an allegation he later admitted — although Craig’s involvement was more limited in scope and time by comparison. Craig’s former law firm, Skadden, Arps, Slate, Meagher & Flom, reached a settlement with the Justice Department in January to resolve an investigation into the firm’s role in working on the Tymoshenko report and the subsequent public relations rollout. The firm didn’t face criminal charges, but agreed to retroactively register as an agent for a foreign government and pay the US Treasury $4.6 million, representing the money the firm earned for its work. Skadden’s settlement notably only applied to the firm, and not to individual attorneys, leading to speculation that Craig could still face criminal charges; he left the firm in April 2018. Craig isn’t the first former Skadden lawyer to face criminal charges related to the Tymoshenko investigation — Alex van der Zwaan, a Dutch lawyer who was part of Craig’s team, pleaded guilty in Mueller’s investigation to lying to investigators and spent a month in prison. The two counts that Craig faces each carry a maximum sentence of five years in prison. Lobbyists and other professionals doing certain types of work for foreign governments are required under the Foreign Agents Registration Act to register with the Justice Department. According to the indictment, Craig did not want to register as an agent for Ukraine, and tried to structure his contract with Ukraine to avoid that requirement. Craig was allegedly told that if he engaged in public relations work, he would need to register. Prosecutors said that Craig was involved in choosing public relations firms to handle the release of the report and strategizing about how best to roll it out. Documents about the public relations campaign specified that Craig would play a key role, and he ultimately was involved in briefing a reporter who was chosen to get an advance copy. The indictment noted that by not registering with the Justice Department, Craig was able to hide how much money his firm was being paid — more than $4 million — for the Tymoshenko report. The indictment doesn’t name Manafort, but repeatedly refers to an unnamed lobbyist who matches Manafort’s description, based on court records from Manafort’s criminal case in federal court in Washington. The indictment says the lobbyist led the strategy to improve Ukraine’s “international public image” and that Skadden was paid through a bank account in Cyprus controlled by the lobbyist, mirroring details from Manafort’s case. According to the charging documents, the lobbyist and Craig exchanged emails after the report came out, with the lobbyist praising Craig. “You are back in the headlines internationally … People in Kiev are very happy. You are ‘THE MAN,'” the lobbyist wrote to Craig. Craig’s criminal case is assigned to US District Judge Amy Berman Jackson, the same judge who handled the case against Manafort and Manafort’s former right-hand man Rick Gates, who was also involved in the Ukraine work. Gates took a plea agreement and is still cooperating with the government. Manafort was sentenced to serve nearly seven years in prison in the two cases brought by Mueller’s office. He’s facing additional charges for fraud in state court in New York. Craig will make his first court appearance on Friday afternoon before a federal magistrate judge.